OxyMon - Cortech Solutions, Inc.
OxyMon Mk III is a flexible, research-grade system for continuous wave near-infrared spectroscopy. Configurations from 1 to 96 channels. OxyMon transmits via temperature stabilized pulsed laser light sources and measures via cooled avalanche photo diodes with ambient light protection. 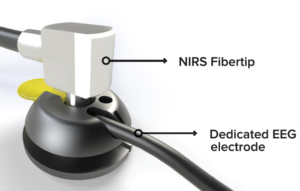 EEG and MRI compatible probes and mounts available. Measures oxy-, deoxy-, and total hemoglobin concentration changes and optionally absolute concentrations and tissue saturation index. Fast data collection at 50 Hz as standard – up to 250 Hz is possible!